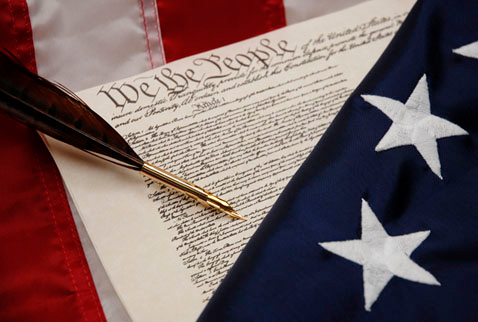 The United States Constitution provides for specified individual rights. However, it does not require that we pay, other than through constitutionally authorized taxes or borrowed funds, for others to exercise even those specified rights. It appears to be the contention of some that the refusal of a church or religiously affiliated entity to subsidize or otherwise to facilitate contraception or the provision of abortion medications deprives women of their rights to them. How are such organizations depriving women of their rights to use their own resources or those available elsewhere to secure those rights? From Planned Parenthood for example? Or are those women denying themselves access to their own choices because they prefer not to utilize such resources? Why should a church or its religiously affiliated entity be forced to provide something it cannot provide without violating its religious doctrines? I do not understand the apparent position that churches and their affiliated religious entities must be legally required to do so. This article asks where the claimed rights to privately subsidized contraception or abortion medications originate. Those claimed rights do not appear to be grounded in the U.S. Constitution, which guarantees our essential rights. Leaving aside for the moment various amendments, the Constitution empowers the three branches of the Federal Government and their respective subbranches (principally the House and the Senate) to do specified things, provides for their modes of operation and funding and prohibits them and the individual states from doing some things. No elaboration on the Ninth or Tenth Amendment appears to be necessary here, other than to note that it appears that both have been violated. Although it has long been held by the courts that the Constitution limits the extents to which our governments can regulate or prohibit abortion and contraception, it has never been held that the Constitution requires churches or their affiliates to provide, pay for, subsidize or otherwise facilitate such procedures or medications other than through paying lawfully imposed taxes. I am unaware of any legitimate basis for denying rights specifically guaranteed by the Constitution (including the right to the free exercise of religion) to enhance rights not guaranteed by the Constitution (including rights to contraception or abortion). To the extent that rights conflict, those specifically enumerated in the Constitution are superior and should prevail over others created by statute, executive order or governmental regulation. It has also been contended that churches and their affiliates must not prevent people from using contraception or abortion. They don’t and can’t if for no reason beyond that they lack the police power of government to do so; grant of that power would constitute the prohibited “establishment” of religion. The Roman Catholic Church disapproves of abortion and many forms of contraception; aside from excluding “sinners” from their congregations or using other similar persuasions, it has no power to force believers or non-believers to adhere to its doctrinal requirements. Churches and their affiliates are voluntary organizations in which participation is not mandatory. Can and should the Constitution be changed? All of this raises at least one more question: should the old Constitution written by long-dead White males be amended further? It is unique in many respects. Should it be reformed to make it more consistent with the “modern” constitutions of other nations? To provide rights in addition to those now specified and to eliminate other rights that are specified? Under Article V, if that’s what two thirds of the members of both houses of the Congress and three fourths of the states authorize, it can be done. The amendment procedures are intentionally cumbersome for good reasons and can not themselves be changed (unless we have a civil war, which seems a bad idea) without going through those same cumbersome amendment procedures. I do not want either to happen and do not think either will during my lifetime. There’s no doubt that Democrats and Republicans alike have stretched the limits of the Constitution in recent decades. There’s also no doubt that we’re nearing the absolute limit of the number of free-riders that those who are productive can support. President Obama has doubled-down on the process, especially with the individual mandate to buy insurance and this recent assault on religious freedom. Imagine how he and the Democrats will behave if he’s re-elected, without the constraints of re-election holding him back. I can’t understand the thickheadedness of liberals. They seem unable to understand that there’s no free lunch — if you force insurance companies to provide free contraception and abortifacients (regardless of the question of why we would do that), someone has to pay for it. That means higher premiums, and whoever pays for the policy will have to pay for it. To paraphrase Margaret Thatcher, this is all great until you run out of other people’s money.